An ERDF-funded project aims to make Nordic nature more attractive by developing new health and care services around the positive relationship between nature and well-being. The positive effects of nature on health are well-known and have been scientifically-proven. However, it would seem that they are currently under-used in the healthcare sector. 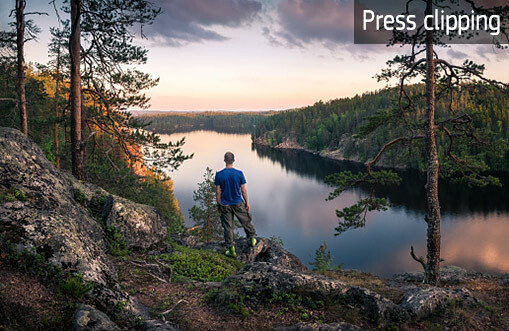 The Finnish-Swedish ERDF-funded project ‘The Nordic Nature Health Hub’ set out to research and try to measure the health and well-being effects that nature has on people. It is developing new tools designed to take advantage of these benefits, with a view to making more use of them in the healthcare sector. The project is taking care to develop tools which make use of nature’s positive health aspects in a sustainable and respectful way. The consortium hopes to target nature-loving entrepreneurs who wish to create responsible, environmentally friendly and sustainable nature experiences. The Health Hub project will run for three years with EUR 1.48 million funding from the ERDF. Ultimately, the consortium hopes that the project results will be transferable to a much wider group of people and other environments and natural areas.